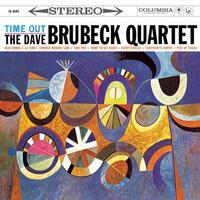 Including the monster hit "Take Five," the Brubeck Quartet's Time Out is a jazz and audiophile classic. Every album collection needs a copy. And now, cut at 45 RPM on 200-gram premium vinyl, pressed at Quality Record Pressings (Acoustic Sounds' own industry-lauded LP manufacturer), Analogue Productions brings you the definitive copy. Why definitive? The dead-quiet double-LP, with the music spread over four sides of vinyl, reduces distortion and high frequency loss as the wider-spaced grooves let your stereo cartridge track more accurately. But it's more than just the vinyl that makes this release so special. For the first time in its history, Time Out is presented here packaged in a deluxe gatefold jacket. Inside are eight fantastic black and white images shot during the recording session at Columbia's famous 30th Street Studios. Sony Music supplied the images for use in our SACD reissue, and gave us persmission to use them in our LP reissue as well. Customer Reviews (4.98 Stars) 40 person(s) rated this product. I have the Classic Records pressing of this jazz classic. This QRP version beats it hands down. The frequency response is solid. The vinyl is quiet, and the full sound is well balanced. The jacket and packaging are very well made. This is the vinyl experience at its finest. Very well done, QRP! I will treasure this record for many years to come. I have some other Analog Production pressings but this one may be the best of the bunch. I feel like I was in the studio during the recording. This could be the finest sounding LP in my collection. I listen to this all the time. Seriously well recorded and reissued by AP. I have both, and in my opinion the AP version is better. The instruments have more body, realism, and presence. Just my $0.02. Buy it! This is the best pressing of a great recording. I have little to add to what has already been eloquently stated. The better your sound system, the more you will be amazed. The sound is so good, that it bring you back in time, to that venue. If there's a reason why we keep playing vinyl, it's because it can sound so GOOD. You can hear the musicians interacting with each other. Wonderful mastering and perfect pressing. I had a previous version that I thought sounded great, but this is on a new level. The instruments sound more real. Just brilliant! Time Out is one of my all-time favorite jazz albums and Analogue Productions did a wonderful job on this album. In fact this may be the best 45 RPM album from AP I've got yet. Dave's daughter & son used to be the organist and choir director at the Cathedral of the Rockies Methodist church my parents went to in Boise, Idaho. Even the grandkids are fine musicians. Dave and the quartet did a benefit concert at the church to help it out in a time of need, and it was a treat to hear the whole family - all three generations - playing music, and they're all wonderful musicians in their own right. The DBQ played most of the songs on this album that night and it was really spectacular to hear in the acoustic of that fine old church. This album is a must have for jazz lovers everywhere! BEST SOUNDING BRUBECK I'VE EVER HEARD! Was listening to old Classic 45rpm reissue when Brubeck passed away wishing I'd purchased a copy of New QRP reissue when rummaging through my new old stash for a rainy day I found out I had purchased it, (Probably when it first came out). I ripped off the plastic wrap and played the single sided Take Five for a spin. I was astonished by how much more detailed and natural sounding the QRP is than the Classic edition. Bass was another surprise. Everything sounds just right on this pressing and it's dead quiet as well. This is a must have in any jazz collection. I also use it in demo comparisons between analog and digital for vinyl newbies. Everyone of them who has heard it is now a vinyl convert! I must have half a dozen copies of this album, going to back to a Columbia two-eye (no six-eye unfortunately) but this one has got to be the reference going forward. The drums just leap out of the speakers, and Desmond's sax sounds like it's in the room. There aren't enough superlatives for this release. I got this on a lark because although I rarely listen to jazz, my only other copy is a cassette I made in the 1980s and I thought the album deserved to be heard in a better format. I kind of wanted to hear what a modern 45 could do, too! This LPs is now the crown jewel in my vinyl collection (displacing a first pressing of Pink Floyd's Meddle). It sounds awesome and allows me to fully the enjoy the performance, which is staggering. Highly recommended, especially if your only other copy is on cassette! this is the third version of Time Out I have (xrcd + lp the others) and probably the best. Really stellar details and character. I thought my Classic Records version was great until I heard this one. the micro-detail is just incredible. My new reference for this recording. This is a very good recording. i do have the Classic records 4LP 45 version. The classic 45 has fuller bass and smoother highs. But the classic 45 is 4 times the cost. If you can afford it the classic 45 is better. I have the first pressing of the original Mono and also the first pressing of the original Stereo of this album. It was one of the first Jazz albums I heard when I was an adolescent and to this day one of my favorite albums. I am not a record reviewer but the original Mono recording is superior to this album, it is more focused then the stereo albums. I have heard Brubeck play the pieces in this album a number of times and the Mono recordings are closer to the live performance. It may seem that I am contradicting my comments but I recommended this album because it is great music and great Jazz and it should be a part of any Jazz lover's collection. Music and sound are top notch. 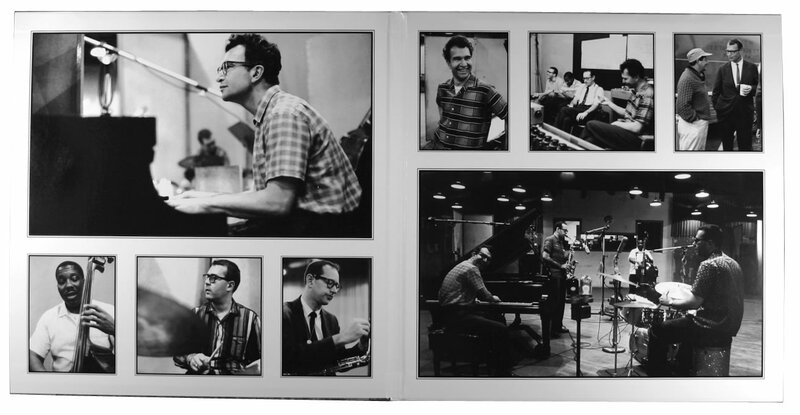 Dave Brubeck is still with us and I love this groundbreaking album in unique time signatures that does not sound quirky or difficult to approach. Wonderful melodies and great rhythmic interplay. Recorded in 1959 I think. Not all the great music came since you were born- listen back to greatness. This must be the ultimate sound,amazing and so real & live,hard to believe it dates from 1959! Great drum solo on Take 5! No need to say much about this one, must have, just buy it and listen. Better yet by 2 so you have a back up. In my system, the Lp is somewhat bigger sound then the CD version, the sax is much bigger. Most likey contrubute by close mic recording. Regardless, it's awsome quality, the higher end your turntable system, the more love you will get from this disc. Wow. I'm so impressed. Time Out 45 RPM surpassed my expectations in all areas. Fantastic packaging, and most importantly, incredible sound - proud to own it. I never thought I'd become a true believer in the 45 RPM format, but after listening to this on my new AVID Volvere turntable, with a Benz Micro 0.4mV cartridge, I get it!! The sound blew me away - hence I'll be placing many more orders in the future and deciding on which label to eventually subscribe to for the 45's. Thanks again, Dan. Unbelievable! The sounds of this new 45 RPM pressing blew me away! Definitive and highly recommended. I am very familiar with this album, not only from 50 years of listening to the music, but also from personally reviewing many different releases of it on both vinyl and CD. This release is, unequivocally, the best I have ever heard this album in any format (I have not yet heard the forthcoming SACD release from Analogue Productions). The vinyl surface is, as advertised, "dead quiet," and Bernie Grundman's mastering is excellent. Listening to these LPs, you can close your eyes and easily picture yourself in the studio with Dave and the Quartet. The 'rattle' of Eugene Wright's bass strings against the wood can be discerned as clearly as if you are there, as can virtually every other subtle sonic nuance. This album sounds so good that I am amazed at the state of the art that was achievable in 1959 when it was recorded. Truly a 'desert island' recording! The sound quality of this 45rpm vinyl is awesome. All the instruments come through so clear, that it sounds as if the musicians are playing live in your living room. Great job by everyone involved with this reissue.